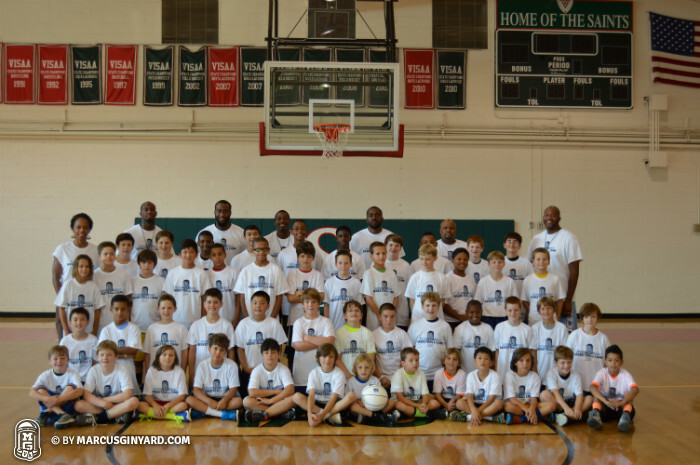 This year’s Marcus Ginyard Basketball Camp, held in Alexandria, Virginia was our most successful session to date. Our camp began with a very important thought, “Nothing great was ever achieved without enthusiasm.” We were blessed to have 57 kids, and an amazing staff of 11, all of whom came to camp with an incredible amount of positive energy and eagerness to learn. The environment that we created was electric! Every single camper helped us to stay true to our Marcus Ginyard Basketball Camp motto Having Fun Getting Better. I made friends at camp, and had a lot of fun! I want to come back next summer! 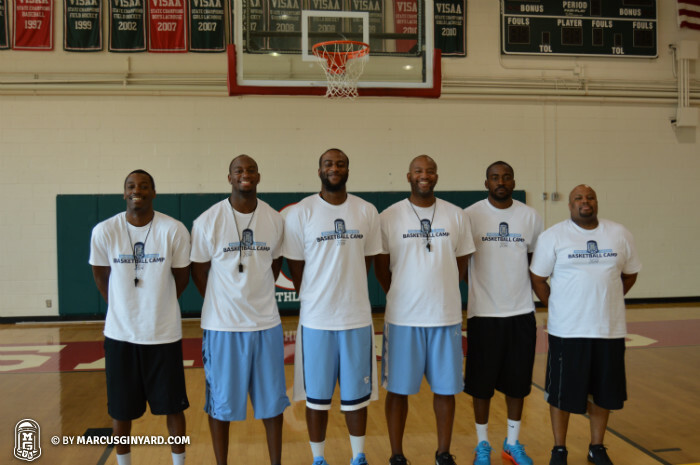 Our staff was overflowing with experience and knowledge of the game of basketball. Ron Ginyard Jr. played collegiate basketball, coached at the Division I collegiate level, and is now the Head Basketball Coach at St. Stephens & St. Agnes School. Jason Clark was a standout player at Georgetown University, earning All Big-East honors, and now plays professionally in Belgium. Ahmad Smith was a star at St. Bonaventure and currently plays professionally in Germany. Mike Copeland won a National Championship at UNC in 2009, played professionally in Europe for three years, and now is a basketball skills trainer. Kenny Barton is currently the Assistant Basketball Coach at St. Stephen’s & St. Agnes School, and has coached both Men’s and Women’s Basketball, at the high school and collegiate level. Campers were taught some basic fundamental skills such as shooting, dribbling, passing, rebounding and defense. They were also given the opportunity to compete against their peers in skills challenges and competitions. Teams were created and campers were able to play 5 on 5 games to learn basketball in a team setting, as well as try to win their group championship. Trophies and other special giveaways were awarded to championship teams, contest winners, and special award winners. Our Tar Heel award for example, was awarded to the camper that was the most supportive of his teammates, engaged in learning and working hard, showed great sportsmanship, and had a great attitude. There were very nice coaches and players with good basketball IQ. People at camp were very friendly and organized. I had a lot of fun playing basketball with Marcus Ginyard. On our last day of camp, we were surprised by a special guest that was in town for the day. 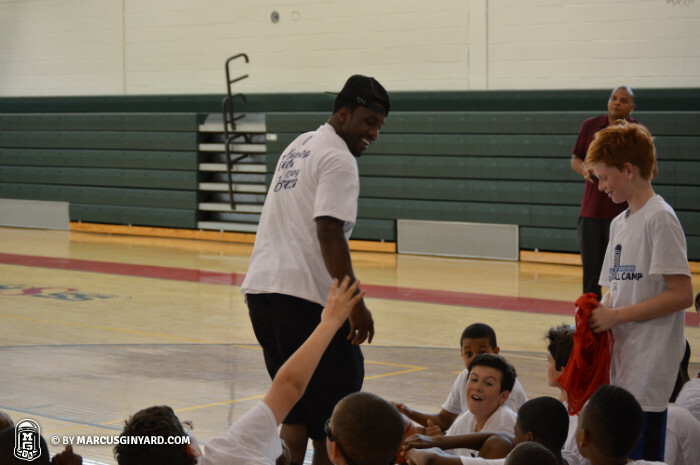 Denver Nuggets point guard Ty Lawson spoke to some of the older campers and mingled with some of the younger campers as they participated in camp activities. He shared some of his experiences playing basketball and left the campers with some advice on how to reach their goals. We would like to thank everyone who participated in camp this summer, as well as everyone who made it possible for this camp to be a success. We hope to see everyone back again next summer for another great week of Marcus Ginyard Basketball Camp.